While today the mention of Somalia may conjure up images of a destitute nation run by warlords, such was not always the case. When it gained independence and the territories of British Somaliland and Italian Somalia were unified to create what we know today as Somalia, there was great optimism about the country’s political future. The country’s flag, a white five-pointed star on a light blue background, symbolized the five areas considered to be “Somali”, due to a shared language, culture, and religion in the newly formed nation as well as French Somaliland, northeastern Kenya, and western Ethiopia. At the time of independence, Somalia’s cultural unity pointed towards an easier path to democracy than that faced by other newly-independent African nations that struggled to incorporate the competing claims of varying ethnic groups. In the 55 years since its independence on July 1, 1960, what was once considered to be one of Africa’s great hopes has instead embodied all that can go wrong as a state works to build a democratic society. Coups, civil wars, warring clans, and natural disasters have sunken the dream of Somali democracy. Moreover, the prospect of being bogged down in a messy nation-building situation now drives away nations looking to help the country back on the path toward a democratic future, as the events of 1993 and “Black Hawk Down” embody the dangers of foreign intervention in Somalia. Richard L. Jackson was a junior officer who was stationed in Mogadishu from 1960-1961. Peter Bridges was the Ambassador to Somalia from 1984-1986. 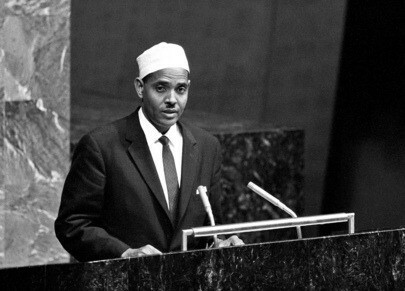 James Bishop, Jr. was the Ambassador to Somalia from 1990-1991. 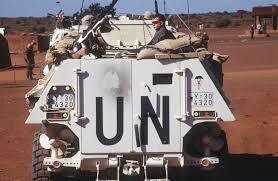 Thomas Hull was stationed in Mogadishu as a Public Affairs Officer from 1983-1986. Leon Weintraub was worked at the State Department’s International Organizations (IO) Bureau from 1992-1993 and was heavily involved in the multilateral intervention in Somalia in the early 1990’s. Karl Inderfurth was the U.S. Representative for Special Affairs at the UN from 1993-1997. All were interviewed by Charles Stuart Kennedy; Jackson beginning in August 1998, Brown in December 1996, Weintraub in July 2005, Inderfurth in April 2001, Bridges in October 2003, Hull in January 2010, and Bishop in November 1995. Go here to read when the U.S. was expelled from the Kagnew Station in Eritrea in 1977. You can read other Moments on Africa, including Soapy Williams’ love of square-dancing. JACKSON: Somalia was then [in the 1960s] one of the great hopes in Africa; of course, then there was tremendous optimism about Africa as a whole. There had been the great wave of African independence in 1960. There were people like [State Department Assistant Secretary for African Affairs] Soapy Williams structuring Africa policy. The thinking was that with our resources and know-how, we could quickly pattern these countries after ourselves and that they would prosper in the democratic path. I think there was a vast underestimation of the problems involved in development, notwithstanding the theories, then current, about well-defined stages of economic growth. The AID [Agency for International Development] bureaucracy and sheer numbers in the missions abroad, certainly in Somalia, was tremendous. Somalia was probably considered one of the most hopeful cases, although it’s one of the poorest countries — and still is today — in Africa. Yet it was the only one that was considered a genuine nation, in the sense that it was one ethnic group, speaking one language, leaving aside that it overlaps areas of former French Somalia (Djibouti) and in the Ogaden area of Ethiopia, as well as vast areas of northern Kenya. Yet there was a feeling of tremendous optimism. 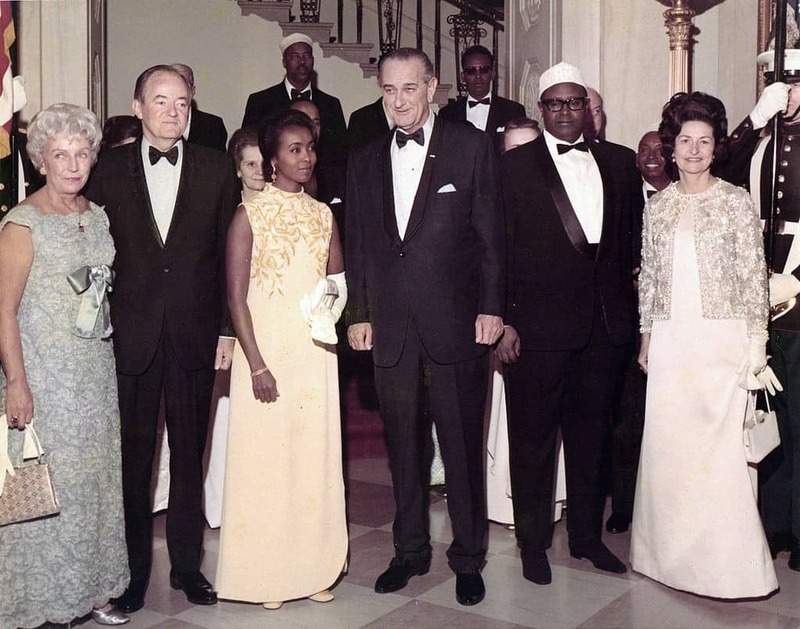 I think people overestimated and romanticized the Somali democratic leaders. There was a charismatic, young prime minister, Abderrazak Hagi Hussein (pictured) who wore stylish white suits and was literally seen as a knight in white armor. There were, however, underlying problems of corruption and tribalism. Other issues were not well understood or, if known, were minimized and swept under the table, I think. It was an exciting place to be, in those years, which, after all, were only five years from Somali independence…. There were tribal rivalries, but the Prime Minister who followed Abderrazak Hagi Hussein was from the North. He was also a very charismatic politician, Mohammad Egal (Egal pictured during state visit), so there was an effort to knit the two parts of the country together, although the resources to do that were woefully absent. Some of the AID programs were intended to help in that respect. I think the hopes for the future were political. The rest of Africa was seen as driven by tribal and linguistic conflict. This was the one country that truly existed as an ethnic nation. The Somali were also tremendously articulate. There were the beginnings of a democratic dialogue. There were rallies and political parties. The parliament was a very active place in those years. But basically, economically, there was very little. Camels and sheep and goats, bananas, between the two rivers, the Juba and the Uebi Shebelle. Uranium existed in the interior, but not in quantities that made it worthwhile to transport. There was no infrastructure whatsoever. The Italians had run it as an exploitive colony and left almost nothing, although there was still considerable Italian cultural influence in the south, particularly Mogadishu, at that time which contributed to the atmosphere of the place. Somalis are intensely confrontational, litigious, and they have a very careful system of checks and balances among the various tribes and subfactions. There were continual feuds, which were regulated sometimes with bloodshed, sometimes with exchange of camels. But I have to say we and the other nations have distorted that balance over the years by introducing modern weaponry and thus building up tribal elements around Mogadishu, the tribe of long-term strongman President Siad Barre. In my time, he was the Defense Minister. In saying that we have shifted the balance in Somalia, what I mean is that, prior to the Cold War era, the various competing tribal factions, analyzed by writers like John Drysdale and I.M. Lewis, were in approximate equilibrium in a very harsh survival environment with severely limited resources. With the Cold War, the Russians became strong in Somalia with military bases, particularly a major naval base at Berbera and enormous quantities of armaments. Then, with the fall of Haile Selassie, they switched sides and backed the Ethiopians, and Somalia became our client. We also put in weaponry, and all of that was very destabilizing. When I say Somalia was the only real nation on the continent, I think the rest of Africa conspired against them in its unwillingness, under the OAU [Organization of African Unity] Charter, to revise boundaries, because the Somali populations did overlap other countries and constituted a threat to the established order. They had an irredentist dispute with each of the other territories. The Somali flag is the five-pointed star, which represents the five areas considered to be Somali, only two of which — the former Italian Somaliland and former British Somaliland in the north –have ever been incorporated into Somalia. There was always low-level skirmishing in the Ogaden with the Ethiopians and in the Northern Frontier District, the NFD, in Kenya. There was an active Ogadeni Liberation Front. I think I was one of the first officers to speak Somali, and I recall meeting the legendary head of the Ogaden Liberation Front, Makhtal Dahir. He was a giant of a man with red henna hair, said to be able to eat a goat at one sitting. There was a constant exchange of salvos with Embassy Addis [Ababa, in Ethiopia] in the reporting. Somalia, so far as I could see, always lost in that because we didn’t have the firepower and U.S. interests in the country were peripheral, unlike in Ethiopia. It’s fair to say there was a very antagonistic relationship between U.S. embassies in Somalia and Ethiopia. There was a political ambassador, Ed Korry, in Addis, who was tremendously aggressive in telling the Ethiopian story and stimulated lots of competition with Somalia. Somalia, of course, did not particularly count because of Kagnew Communications Station and the close U.S. relationship with Haile Selassie. Our eggs were in the Ethiopian basket. Yet it was tremendously interesting to be in Somalia as they were attempting to shape their future in those years. BRIDGES: The situation was roughly this: the Somali dictatorship had existed since 1969. 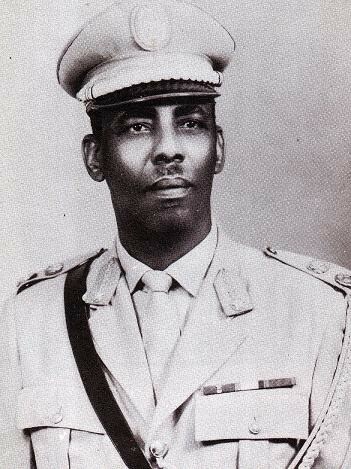 Mohammed Siad Barre, the Commander of the Somali Armed Forces, had taken power in ’69 and had led his country increasingly on a pro-Soviet course. American relations with Somalia deteriorated; we broke off aid to Somalia after we learned that two or three ships bearing the Somali flag had been trading with North Vietnam. We were required by the legislation at the time to stop trade with Somalia, and that further exacerbated things. Then in 1977 the Somalis invaded Ethiopia, and by 1978 it was a full-scale war and the Somali army occupied a good part of eastern Ethiopia, which was largely inhabited by ethnic Somalis. It was a quandary for the Soviet Union, which was good friends with Siad Barre in Somalia and also good friends with Ethiopia, ruled by Mengistu Haile Mariam. So what shall Moscow do? Should it support Ethiopia against Somalia, or vice versa? Or try to try separate itself from the conflict? 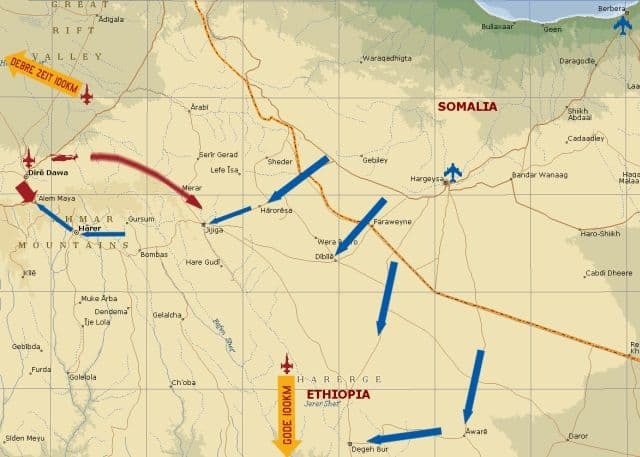 In the end Moscow decided Ethiopia was the more important friend and ally, so a lot of Soviet advisors went into Ethiopia, the Soviets brought some thousands of Cuban troops to Ethiopia, and in the end they pushed the Somalis back over the old Somali frontier…. We provided a lot of anti-tank weapons… I’m not ashamed that we provided these weapons, although some of them were used in the Somali civil war. The only ones that I really regret were a half dozen large artillery pieces, 155 millimeter rifles, which later, after I left, were hauled up to the north of Somalia and were used to batter the city of Hargeisa, which had risen up against Siad Barre. BISHOP: By the mid-1980s, the level of domestic opposition to Siad Barre had grown considerably. Ironically, this was due in part to a rapprochement that was worked out between Somalia and Ethiopia with our encouragement. This agreement resulted in the Ethiopians shipping back to Somalia a number of Barre opponents who took up arms against him in the northern part of the country. Siad Barre’s reaction to this rebellion was sanguinary. He used artillery and air power against several northern cities, killing tens of thousands of innocent civilians. When we found out about this use of firepower, we halted new lethal military equipment supply arrangements. That obviously added to the strain in our relations with Somalia. It also did not help the Department’s relationship with the Pentagon, which continued to place very high importance on its access to Somali military facilities. DoD wanted State to be more responsive to Somali requests for lethal equipment; we were not prepared to be more forthcoming in light of our concerns about Somali human rights violations. HULL: This was a very repressive regime. The President’s son-in-law, General Morgan was one of the problematic people who later became the butcher of Hargeisa, destroying the city of Hargeisa and killing large numbers of people there. A number of people turned out to be warlords in their re-incarnations. It was a fascinating place. But at the time we were aligned for better or worse with Somalia and the regime. We certainly were not enamored of Siad Barre. We were heavily criticized for being in bed with Siad Barre, but because of the nature of the Cold War Somalia had some advantages to us. 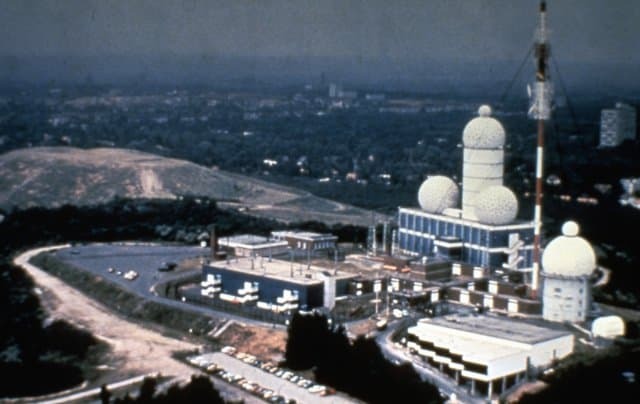 It had the longest air strip in all of Africa in Berbera so our P-3 Orions flying out of Diego Garcia could track Soviet submarines as well as the Soviet naval base on Socotra Island between Yemen and Somalia and what have you. But in general it had no resources. Its most valuable resources were camels and meerschaum which were not real big in terms of the world economy. So it was not a significant place except in a geostrategic sense as we have seen now with the piracy and proximity to Yemen and the Middle East. It was functioning badly but it had a functioning government, and Siad Barre of course, was very authoritarian. So much so that when there were dissident, more extreme, Moslem imams, he simply hung them. That sent the message to everyone don’t be extreme. So he suppressed any inclination toward Islamic extremism. Somalia is an unusual country because it is one of only two countries in Africa where the people of the country are basically of one ethnic group, Somalis. The other being Swaziland where people were basically Swazis. 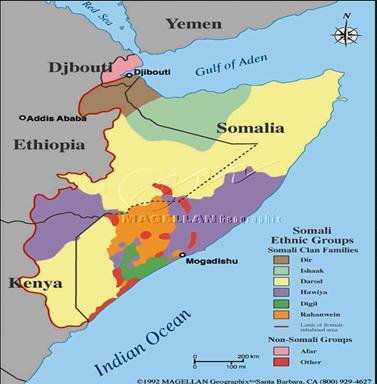 But the Somalis like the Scottish are divided into clans and sub clans. They fail to see that their strength is in their unity and their weakness is in their disunity because of ancient animosities among these clans and sub clans. The way Siad Barre ruled was to arm them all with AK-47s, buy their support by arming them all, which worked until he became so weak that he could no longer control the situation as he grew older. When I left, I served there from 1983 to 1986, three years, it was a very peaceful country. Somalis were a wonderful people to interact with….So it appeared when I lived there like this was a very manageable country. They were all Somalis. There were divisions between the north and the south where there was a difference between British colonial rule and Italian colonial rule. Nevertheless, the whole thing could function. But when I left, one of my least favorite FSNs (Foreign Service National) said to me, “You know, Mr. Hull, you are good to be going now because when Siad Barre leaves power, we are all going to start killing each other.” I just didn’t see it. I was so blind to this that when he said it I was really shocked. Well, they had a little corruption, denial of human rights by and large. I mean it was a one-party dictatorship under Siad Barre, so people were impoverished. There wasn’t much hope of advocating human rights in that situation. We could criticize them but it wasn’t going to change anything. It was an economic basket case. There wasn’t much prospect for progress or change. The Somalis all considered themselves to be not Africans, but Arabs. They looked down their noses at Africans as nothing more than potential slaves. There was very much of a skin caste in the country, and if you had darker skin you were relegated to lower jobs. Anything that was technological, like being a blacksmith, was a lower job versus being a nomad with your camels, which was the highest form of economic enterprise in the country. They tried very much to be more Arab than the Arabs. They believed that they were direct descendants of the Prophet Mohammed….So it was a very frustrating country to deal with because we very much knew that Siad Barre’s relationship with us was based not on ideology. He liked the Soviet ideology, the rhetoric, the autocratic rule and so forth, but because of circumstances his lot was cast with the United States of America. So there was not any sort of natural affinity between us and Siad Barre. There was no opposition party we could work with. We had our only alternative was to work with the government. There were no civil society organizations. We just essentially found ourselves with one option and that was Siad Barre for better or worse. I think Ambassador [Robert] Oakley and others realized this was not the best of all circumstances but it is the one we had, and it did have some geostrategic utility because of the location of the country and our military involvement. It was a problem for the Soviets having the Americans in Somalia even if all we gave them was uniforms and radios and some vehicles and some anti-tank weapons. It was nevertheless sufficient for them to at least resist the Ethiopians should they think about wanting to invade again. But we always had the problem, like in Zaire, that we were working with a very distasteful regime, or South Africa’s apartheid regime. WEINTRAUB: Somalia had become the archetype of the failed state, one kind of a corrupt regime after another, a military ruler, and eventually there were enough disturbances in the streets that the military ruler simply fled the country. I think it was at the end of ’91. And there was just inability to form a government. It was pretty much close to anarchy, I guess. And Somalia apparently is organized — a lot of society is organized into clans, and I guess each of the clans felt it necessary to form a militia. There were constant battles in Mogadishu and elsewhere in the country as well. Commerce and trade had just about ground to a halt. The banking system had ceased to function. Transportation was very dangerous. So people were really hurting. People were starving. Food couldn’t be moved about. Even if there were food production in one area you couldn’t get it to other areas because anything – including emergency food moving on the road — was being hijacked by one of the clans or another. So we had pictures from CNN of starving families, babies — they were very heartbreaking pictures. We started shortly after I arrived, the U.S. started an airdrop. The White House got the Pentagon onboard to get involved with an airdrop. The UN was expanding its presence; they had observers there to try to monitor some ceasefires that were never holding for very long. But what started out as a humanitarian mission to feed the starving — you could feed the starving, but then how long are you going to feed them for? It’s hard to feed people while protecting them at the point of a gun. You can do that but for how long are you going to do that? Eventually you’re going to leave and the Somalis have to make it themselves. So with the support of the [Department’s] Africa bureau, we got more and more involved into trying to sponsor negotiations, affiliations, nation-building efforts of one kind or another — meetings in Kenya, meetings in Tanzania, meetings in Djibouti with different factions. And we got more and more engaged in what became ridiculed as a nation-building exercise. The famous words of “What’s your exit strategy?” began to start appearing. And I guess we really didn’t have a clearly defined exit strategy. The military didn’t like it, certainly. They said we can do certain kinds of missions. We can’t put countries back together again; that’s not in our mission. But we can shoot people and can kill people and we can build security but how long do we have to do that for? It became a very divisive issue. Of course, we left to go back abroad at the end of one year, in May or June of ’93 before the incident of “Blackhawk Down” later that year…. The biggest loser in all this was the Somali people. I went there with [Secretary of State] Madeleine [Albright] on a mission in the summer of ’93. I had never seen such a desperate place – Mogadishu was basically a destroyed city. For a moment the international community and the U.S. were there to help but, for many, many reasons that effort failed. And Somalia is still, many years later, a desperate place, and a failed state. JACKSON: Somalia has gone from the impoverished, but proud and starkly beautiful new country that I knew to the grim landscape of a failed state. 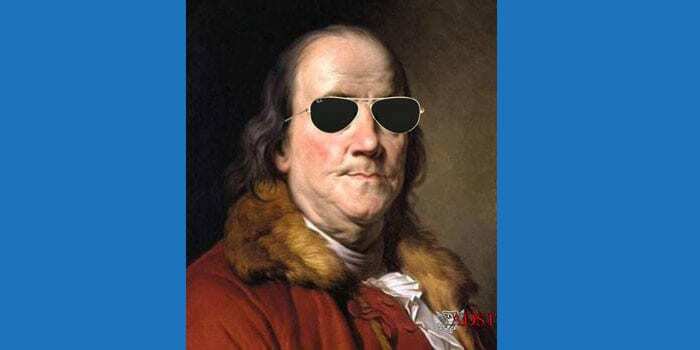 My own first-post idealism has turned with time to skepticism, and it is surely no longer possible to believe the course of history or U.S. influence on it is anything like one of unbroken progress.